Credit score is extremely important for the owners of SMEs and proprietors looking for finance in the form of small business loans. It is an objective score that defines your financial ability to repay debt based on your past transactions and payment history. The absence of or poor credit score can greatly reduce your chances of getting a loan. However, you should not worry as there are ways to rebuild and maintain a healthy credit score. Your bid for a quick business loan can take a beating on account of payment defaults so make sure that all your monthly bills are paid by due date. Remember that even if the default is not because of a cash crunch, it shows up on your credit report and reflects in credit score. You do not want to lose out on a loan because you forgot the due date! 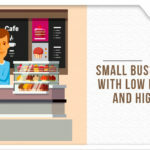 Do not make the mistake of checking your credit score right at the time when you are in need of small business loans. This adds to unnecessary inquiries in your report. Keep yourself updated by reviewing your credit score every six months. The advantage of this exercise is that in case there is any negative remark, you can find it easily and counter it if it is not correct. Also, if you find the score going down, then steps can be taken in time to strengthen it. When it comes to credit score, there is a simple rule to follow- always keep your utilization percentage limited to thirty percent of the total limit. Follow this rule for every card you have. Also, it is advisable that you do not use all credit cards as it reflects that you do not have enough amount to meet your monthly expenditures. It also showcases spending habits, something you would want to keep to yourself. To enforce discipline, you can ask your credit card company to send an alert when you breach the utilization limit. While it is a common practice to make multiple loan applications to various lenders, this seemingly gullible practice might be hurting your financial credibility. Multiple loan applications show up in your credit report and are not viewed kindly by lenders. If there are too many rejections, chances of getting a quick business loan get slimmer. A joint application of loan helps in increasing the chances of getting a loan, but it can prove detrimental to your credit score. If there is a default owing to a mistake by the joint borrower, the lack of credibility will affect your future capability of getting a loan as well. You can improve your credit score by availing collateral free business loans from online financing platforms such as FlexiLoans. When you take secured loans, you not only mortgage your assets but also increase the risk of default on repayment. However, it is easier and quicker to pay off collateral free loans, as a result of which your credibility as a borrower increases. Since creating a favorable credit score is a long process, the ideal way to keep your credit score intact is to follow financial discipline.